This is first in a series of blog posts and resources to offer lessons and reflections for school leaders, district officials, and education policymakers using data and stories from the McKnight Foundation Pathway Schools Initiative. The series is supported by a grant from the McKnight Foundation. As students come back to school this fall, many will find teachers and principals they’ve never seen before. About 16 percent of teachers leave the profession or change schools every year, and that number is even higher in high-poverty schools, urban schools, and low-performing schools. How does teacher turnover affect students and schools? The research is not always clear. Several studies in urban districts show a general negative association between turnover and student achievement. One study found negative teacher turnover effects spread even to students with veteran teachers, suggesting turnover can impact schoolwide achievement and morale. But a certain amount of turnover is inevitable, and in some cases, staff changes can improve student scores by exiting ineffective teachers or allowing teachers to take on new leadership roles in schools. The experience of the Pathway Schools Initiative, a seven-year effort to improve third grade literacy in seven Minnesota elementary schools, sheds further light on how turnover can hurt the momentum of school improvement efforts. 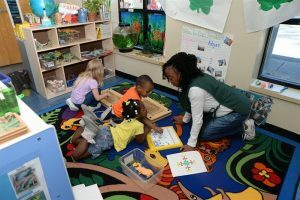 With the support of the McKnight Foundation, schools participating in the initiative worked with the University of Chicago Urban Education Institute (UEI) to implement PreK-3rd improvement efforts. 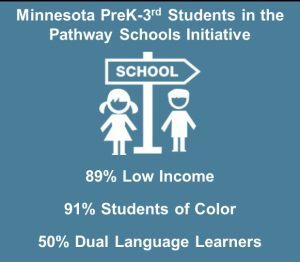 All seven Pathway schools were urban (located in the Twin Cities metropolitan area), relatively low performing, and predominantly low-income. But rates of teacher turnover varied widely between schools and from year to year. 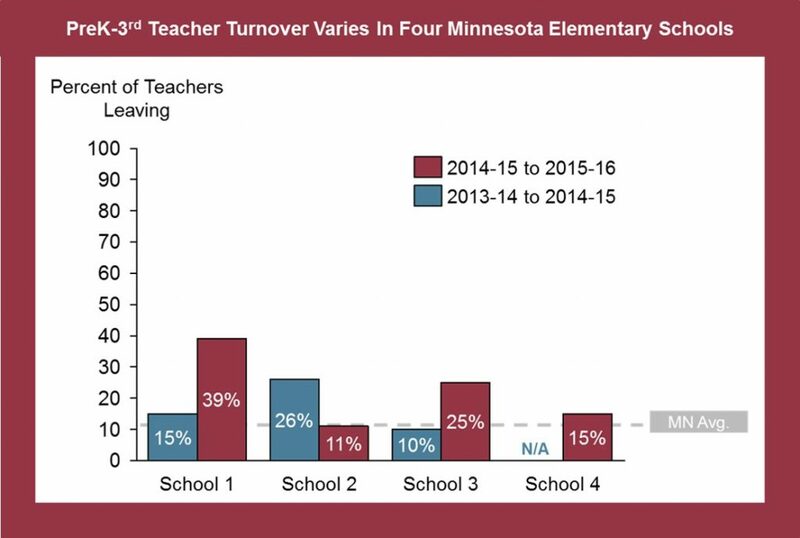 The graph below shows the differences in PreK-3rd grade teacher turnover among four participating schools over a two-year period. Data collected by SRI International, from SRI 2016-17 Pathway Schools Initiative Annual Report. Note: Data were not available in this time period for every school in the Initiative. School improvement efforts like the Pathway Schools Initiative, which focused on assessment, instruction, and professional development, need a certain level of stability to succeed. But chronic educator turnover in high-need schools should not be viewed as an inevitable reality. In blogs to come in this series, we’ll continue digging into data and stories from these schools to look at the impacts of teacher and leader turnover and examine potential action steps schools, districts, and states can take to ensure turnover is not a roadblock to school improvement. This entry was posted in Education Policy, Research, School Leadership, State Education Policy, Talent and tagged McKnight Foundation, minnesota, MN Education, Pathway Schools Initiative, prek3rd, state education policy, SupportingMNEducators, Teacher Mobility, Teacher recruitment, Teacher Retention, Teacher Turnover, teachers on September 14, 2017 by Bonnie O'Keefe.